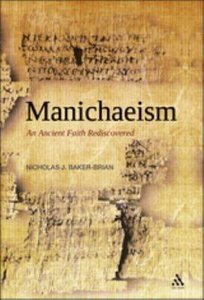 This study will be a historical and theological introduction to Manichaeism. It will comprise a biographical treatment of the founder Mani, situating his personality, his writings and his ideas within the Aramaic Christian tradition of third century (CE) Mesopotamia. It will provide a historical treatment of the Manichaean church in late antiquity (250-700 CE), detailing the emergence of Manichaeism in the late Roman and Byzantine empires, in addition to examining the continuation of Manichaean traditions in the eastern world (China) up to the thirteenth century and beyond. The book will consider the theology of Mani's system, with the aim of providing a clear-eyed treatment of the cosmogonic, scriptural and ecclesiological ideas forming its foundations. The study will base its analysis on original Manichaean literary sources, together with rehabilitating the representation of Manichaeism in those writings that polemicised against the religion. The study will aim to demonstrate the highly syncretic nature of Manichaeism, and will look to move forward 'traditional' perceptions of the religion as being simply a form of Christian Gnostic Dualism. The first general comprehensive introduction to Manichaeism aimed at a non-specialist and undergraduate readership. Chapter 1. The Recovery Of Manichaeism: Controversies And Sources. ; Chapter 2: The Life And Times Of Mani: Mesopotamia In The Third Century. ; Chapter 3: The Theology Of Manichaeism: Scriptures And Traditions. ; Chapter 4: Towards A History Of The Manichaean Church. ; Chapter 5: Conclusion [the Reception Of Manichaean Traditions. ].